But what if your friends and family aren’t on the same page about going offshore? They may bring up more questions that you hadn’t thought of. And may think that you are crazy to be looking at property outside of your home country. While the internet can be an amazing resource, it can also lead you down a lot of rabbit holes and the quantity of information available is astounding. Even more astonishing is how much wrong information is posted online. So how on earth are you supposed to decipher what is accurate and what is false? Below are three common myths and misconceptions about buying property globally. TRUTH #1: In many countries, anyone can sell you property. In many countries, anyone and everyone is allowed to sell property. That means no license, no real estate schooling, no guidelines. All someone really needs is a business card and a willingness to sell property. When anyone can sell real estate, the quality of the agent you employ can vary drastically so it is important to do your due diligence on the agent. Many “agents” will be honest and look out for your best interest, while some are simply looking to make a quick buck and will sell you what they want you to have. Throughout the world, you are likely to come across many familiar real estate companies including Remax, Sothebys, Coldwell Banker, and Keller Williams, among others. While these companies come with a name that you are familiar with, training can be limited and not always on par with their North American counterparts. That being said, there are certainly plenty of reputable and trustworthy real estate agents who can guide you to the international property of your dreams. TRUTH #2: The title process can be anything but efficient, so pack your patience. Generally speaking, the title process outside of North America can anything but efficient which can be both frustrating and unnerving, especially if the transaction is being conducted in a foreign language. One of the first things that you should do when purchasing property overseas is ensure that the seller has title to the property and to ensure that the land is free and clear of any encumbrances and liens, which can further delay or complicate the process. While in North America, we are accustomed to closing on property in 30, 60, or 90 days, this is not necessarily the case in many parts of the world where the closing timeline can be several years in extreme cases. In Belize for example, real estate transactions occurring between a foreigner and a Belizean or Belizean company, must first be approved by the Central Bank of Belize to ensure property exchange controls, before being submitted to the Lands Registry Department. This process can tack on a few weeks or months depending on the number of applications being submitted at the same time. One of the causes of delay in the issuing of titles in foreign countries is government inefficiencies and insufficient personnel. By no means let this discourage you from looking at property overseas. Titles to dream properties get issued to happy property owners on a daily basis, you just need to remember to pack your patience! TRUTH #3: There are many affordable property options available globally. 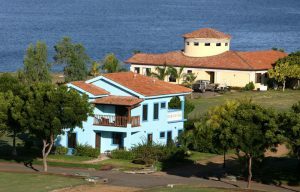 Conventionally, because of the lack of financing options, ownership of second homes in the Caribbean islands, and abroad generally, was reserved for the ultra-wealthy. There has been a heightened demand from Baby Boomers who are realizing that they may outlive their retirement savings are looking for affordable living options abroad. This demand for affordable luxury residences has encouraged entrepreneurial private lending firms and international banks to provide options for those looking to buy offshore, making the dream a reality for the average consumer as most domestic banks will not finance on international property because they do not have leverage outside of their jurisdiction. When looking for affordable property outside of the US and Canada, one of the things to consider is the “path of progress.” If you are looking for an income producing property with immediate cash flow, chances are you’ll look towards property in a country where tourism is already thriving and where property values tend to be on the higher side. However, if you are looking for a property that has the potential to appreciate over time, a good recommendation is to look for a country that is on the cusp of becoming a “hot” destination. 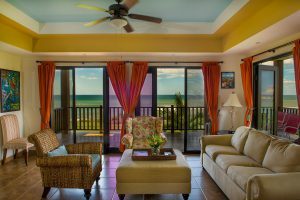 Countries like Belize and Nicaragua are two locations that immediately come to mind – both have strong tourism numbers as well affordable options for property ownership, including beachfront property, which is virtually unheard of in North America! ECI Development offers consumers affordable luxury residences in a variety of geographic locations throughout out Latin America. While many of our clients our foreigners, our goal is to educate our clients with everything they need to know prior to owning real estate overseas. 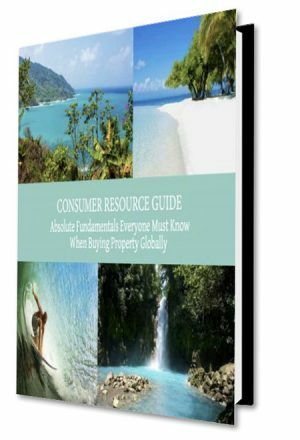 To get the complete list of the “15 Critical Questions to Ask When Looking at Real Estate Overseas,” please download this educational whitepaper, The Consumer Resource Guide. Otherwise, feel free to contact us directly, info@ecidevelopment.com or call 1-800-290-3028. This entry was posted on Tuesday, November 27th, 2018 at 6:44 am	and is filed under Offshore Investing. You can follow any responses to this entry through the RSS 2.0 feed. You can leave a response, or trackback from your own site. In 1996, Michael K. Cobb and his business partner formed a company, Exotic Caye International, to provide loans to North Americans purchasing properties in Belize, Honduras, Costa Rica, and throughout the region. With a strong focus on consumer need, Mr. Cobb accurately predicted the growing demand for high quality, residential product for North American "baby boomer" retirees in the region. He led the group into real estate development and created a holding company called ECI Development for several properties, including a resort on Ambergris Caye, Belize. Michael speaks at dozens of international conferences annually about offshore real estate finance, development, and ownership. 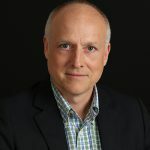 He was consultant to The Oxford Club, hosted a weekly radio program, contributes regularly to overseas publications, sits on the board of several international companies, gives counsel to various real estate projects throughout Central America, and serves on the Board of Directors and the President’s Advisory Group for the National Association of Realtors, NAR.